Memory management in vSphere 5 happens with following 4 states. 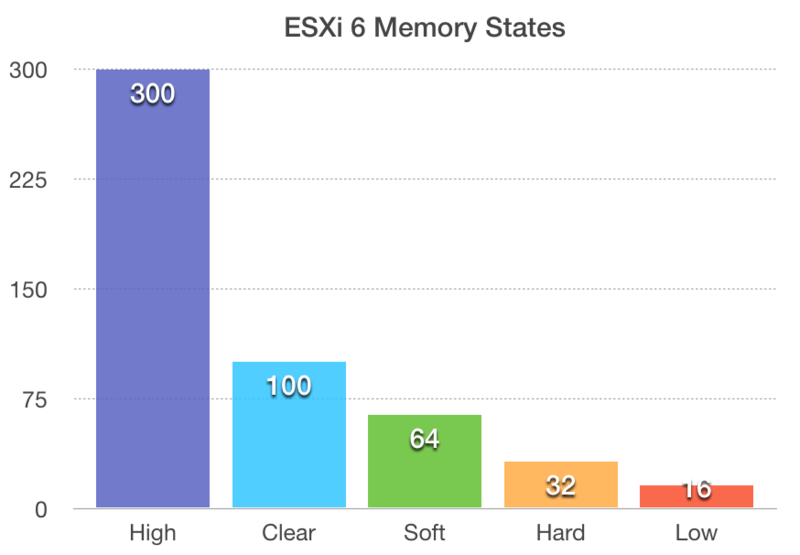 while in vSphere 6, this has changed, a new memory management state has been introduced called Clear state which is equivalent to previous High state. 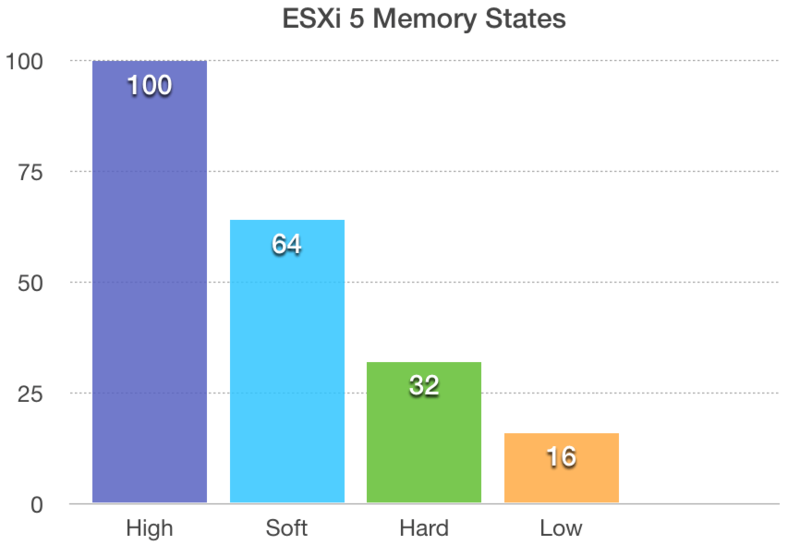 So now in ESXi 6 following are memory management states available. In Short, an additional state which has been introduced called Clear state, and High State is tripled with compare to last version, now it’s 300% of minFree value of an esxi host, this is purely so TPS gets a chance to be triggered long before it hits Clear state and carry on acting on memory accordingly. This entry was posted in vSphere 6 on June 20, 2015 by Narendra.